I’ve done some endurance events in my life, but never non-stop for 32 hours. 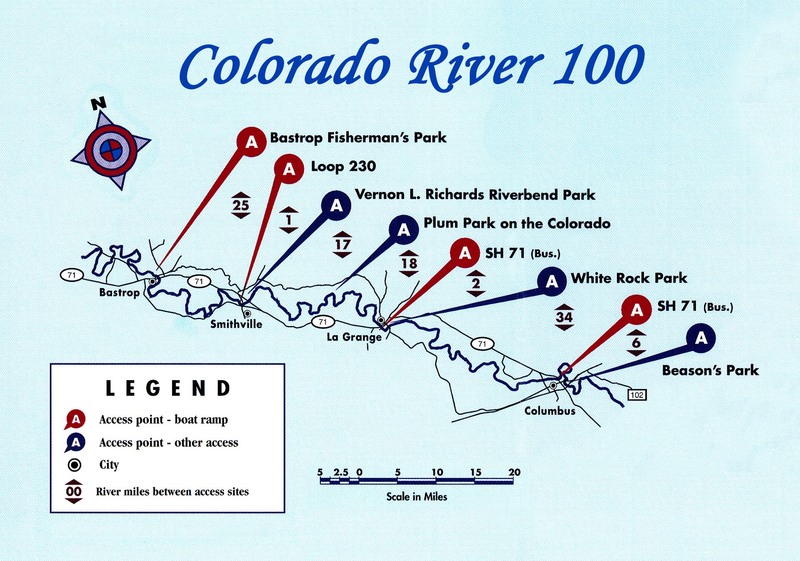 The Colorado 100 is such a race. A canoe/kayak race for 100 miles on a Class I river in Texas, this Sept. This presents a new challenge for me as an athlete. How to stay appropriately fueled (and hydrated) for a long period of time. It’s not so simple as providing yourself with the foods that you like. I’ve never exercised for this long non-stop, and I’ve never exercised through the night. There is also the element of heat; they say it’s usually quite hot during this event. I’ve cycled 113 miles in one day and was happy with bars and gels. I didn’t require “real food” like a sandwich or anything. Even though my goal is to complete this race within the time limit, and the real race is with myself, I would be dishonest not to say I do have a specific time limit in mind. I’ve looked a the race records. I know the fastest times and I know the slowest time for last year’s race. I also know the slowest time from last year in my class (adventure class/solo woman), and I’d like to at least be faster than that (shhh don’t tell anyone, that’s 24 hrs.). Anyways, one needs more than just gels and a sports drink with an endurance race that can go as long as 32 hrs. You can’t efficiently perform with just carbohydrates. One needs a full spectrum of carbohydrates, protein, and fat, and with the heat there is not only the concern of enough water, but electrolytes. Enter Hammer Nutrition. I discovered Hammer Nutrition because they sponsor the Colorado 100, and sponsor lots of athletes in lots of different kinds of races. The thing about eating while you race, you don’t want any surprises; not during the race. Race time is not the time to be trying new forms of sustenance. I plan on trying lots of their products; gels, bars, sports drinks, and some of their specialized products for endurance races like Perpetuem during my training. It’s important to even try different flavors; flavors of drinks. bars, and gels. There’s lots of good articles on their website and I’ve also read the detailed information about each of their products. Each boat is required to have 1/2 gallon of water per person at all times. Right now I’m planning on using the MSR Dromedary Bag for this purpose. The Dromedary comes in 4 different sizes and one will be hooked up as a hydration system just for water. They have a system for their bags much like the CamelBacks. There are 3 mandatory check-ins, and if need be, I can procure additional water at each stop. Right now I don’t think I’ll use their sports drink. It’s mostly carbohydrates and some electrolytes, but I plan on taking their electrolyte capsule. I will also use the endurance formula Pepetuem which is designed for multi-hour and multi-day events. This is a powder which is mixed with water (based on your weight). Because it has no preservatives it can spoil. So I plan to use Polar water bottles and with the pre-measured amount of the product powder already in the bottle, just add water. For variety I’ll probably eat some bars and gels along the way. This plan can change and probably will as I try these products throughout my training regimen (I’ll talk about that soon). As before, I welcome any and all feedback on my remarks regarding fueling for a race. I’d love to hear about the products you use and what your “menu” would be for a multi-hour event. This entry was posted on March 9, 2010 by DummyDiva. It was filed under Uncategorized and was tagged with Colorado 100, Hammer Nutrition, kayaking, MSR, paddling, ultra marathon kayak/canoe. 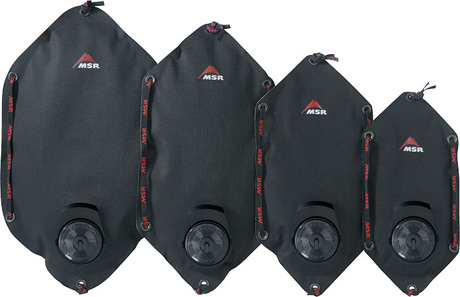 I am a big fan of the MSR dromedary bags, I own a 10 liter and a 4 liter, and I have never had an issue with them. they will serve you well.